Additional notifications of West Nile Virus activity in mosquito surveillance samples have been reported to the Iberia Parish Mosquito Control District by the Louisiana State University School of Veterinary Medicine Animal Disease Diagnostic Laboratory. 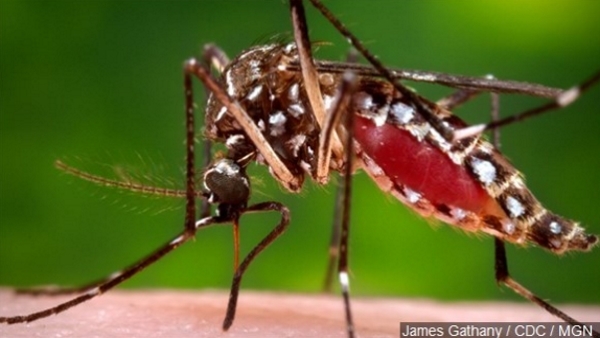 The mosquito samples tested were from traps located in Grand Marais and Jeanerette. Expanded surveillance and control operations will continue following WNV response protocols until positive indicators cease. IPMC is urging citizens across the entire Parish to protect themselves against mosquito bites and mosquito borne diseases! Residents throughout the Parish are urged to follow these simple guidelines recommended by the CDC! · Apply mosquito repellent that contains DEET, Picaridin or Oil of Lemon Eucalyptus and apply as directed on the label! · Protect children sensitive to insect bites with repellent and cover exposed skin — there are many preparations sold in drug stores and camping sections of local stores that are formulated for adults as well as children. · Wear light colored, light weight clothing with long sleeves and long pants when outdoors particularly at DAWN and DUSK. · Avoid wearing perfumes or colognes when outside for prolonged periods. · Remove all sources of standing water near your home (i.e. cans, barrels, planters, tires, containers and tarps). · Keep all pools, spas, bird baths, ponds and fountains clean and free of debris. · Maintain tight fitting screens on doors and windows. · Don’t FEED the storm drains! Sweep up lawn clippings, leaves and tree limbs from sidewalks and driveways. If you have any questions or mosquito related problems, feel free to contact the Iberia Parish Mosquito Control District at (337) 365-4933. Please visit us on the web www.iberiaparishgovernment.com and click on “Mosquito Control” — like us on Facebook for the latest. For more information about West Nile Virus, other mosquito – borne diseases and pesticides for mosquito control please visit www.mosquito.org or www.cdc.gov and www.epa.gov.